Louise passed away on April 17, 2018 at the age of 83. We did not expect her to go so soon. She was a devoted wife, mother, grandmother and friend and we will miss her. Louise and Rudy were married for 64 years and lovingly enjoyed their many shared activities together. Louise was born in Germany and graduated from an all-girls Catholic school. She studied to be a bi-lingual legal stenographer. She and her husband Rudy met when they were teenagers, living in Weiden. They moved to San Francisco in their early 20’s and joined numerous extended family members living in the Bay Area. 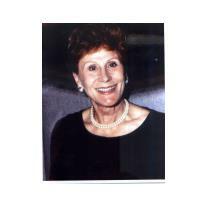 Louise began her work career with Bank of America in the International Banking Division and was highly regarded. She was smart and adaptable with a strong work ethic. When her husband Rudy was offered an overseas position they moved first to Germany and then later to Pakistan. They enjoyed travelling extensively and the experience of living in new places. During their time overseas Louise became involved with numerous women’s groups and learned to play bridge and golf. She was an avid bridge player eventually becoming a Silver Life Master. When they decided to retire they chose to move back to the Bay Area and move to Blackhawk. Louise became involved with local bridge, golf and book club groups. They continued to travel extensively and she especially enjoyed their hiking trips to Switzerland with friends. She was able to spend quality family time and enjoyed many family trips with her daughter, son-in-law and grandsons. Some of their favorite adventures were annual family ski trips and cruises. Her grandsons fondly remember their special Christmas time outings to San Francisco, skiing in Tahoe, Disneyland, cruise ship adventures, and visiting Germany. She will be missed by her family and friends. Louise is survived by her husband Rudy, her daughter Sigi Comeau, son-in-law Rich Comeau, 2 grand sons, Richard and Jonathan Comeau, Jonathan’s wife Angela Ong Comeau and her soon to be born great-grand daughter. Louise has 2 sisters living in Germany, Hanna Bihlmeier and Evi Bartels. Her brother Conrad pre-deceased her. A Celebration of Life is being planned.